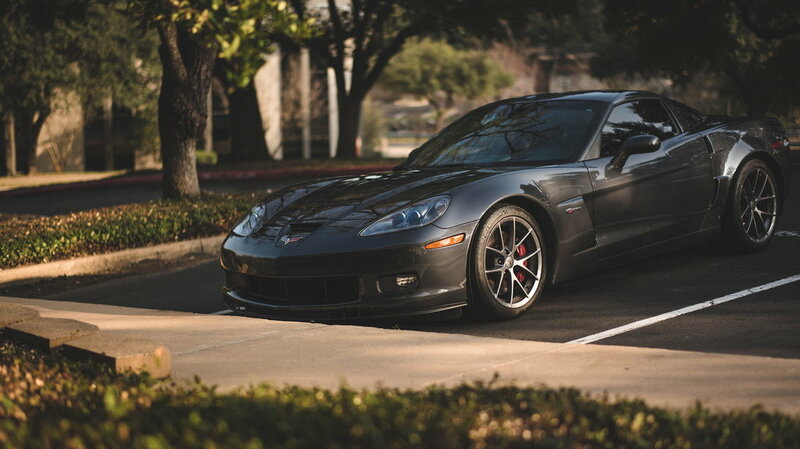 Looking at selling my 2009 Cyber Grey Z06 with 33,720 miles. The car has been meticulously cared for and maintained, always hand washed and detailed with the best products. I purchased this car in Jan of this year from the original owner; at the time the car had 31,500 miles. The original owner sold the car because he was a retiring Doctor and driving a manual was uncomfortable. I am selling because my fiance moved into the house and with three cars (I have a daily driver) the Z isn't getting out much (of course the Z is in the garage and the daily driver is in the driveway). The car has never seen rain, while in my ownership or the first owners. 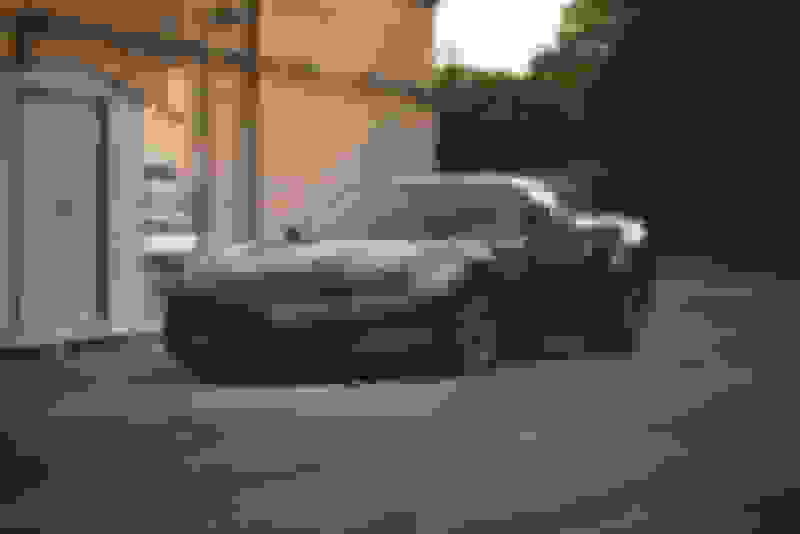 I spoke to the original owner in detail about the car and he was a Porsche enthusiast that drove a Cayenne when the weather was bad and a Carrera when it was nice. He drove the Z very sparingly because it became difficult for him. The car was broken in properly and maintained that way. All fluids were replaced in the car before I bought it and I changed the oil 500 miles ago. The driver seat shows like the car has <5k miles and the passenger seat is indistinguishable from new. No accidents, no paintwork, clean title. Have all keys, and books. Car is completely stock except for a tint (Formula One Pinnacle Ceramic Film - 30% front and 15% back), Corsa catback and the JW red led tails. I have the stock taillights but don't have the stock exhaust. This is my 4th Z06. I sold my first three to forum members who were all out of state. I am used to the demands of an out of state buyer and will happily answer any questions someone has. I bought this car sight unseen (spent hours talking to the owner) and was not disappointed or surprised by anything when the car arrived. The car was delivered to me in an enclosed trailer. Number of owners? I am the second. Has it ever been smoked in? Never. Has it ever been tracked/raced? No. Has it been stored in a garage? Yes, it stays in my garage every night. Any mechanical issues outstanding? No, everything is working perfectly. Service up to date/performed at correct intervals. How are the brakes and tires? Brakes are excellent, very little wear. The tires have been gently used and still have a lot of life remaining (70%). Has it ever been modified? No engine modifications. Only modifications are tint (Formula One Pinnacle Ceramic Film), Corsa catback and the JW Red LED Tails. Has it ever been in a wreck? No. Will you take trades? No. Any funny smells or sounds? No. Never eat or drink in the car. This is my fourth Z06 and this one is the quietest of the all. The interior doesn't squeak or rattle. Everything is very solid which is a testament to how it has been treated. Have the heads been addressed? Engine is completely stock, including the heads. Asking price option: When I bought the car (at the very end of January), I purchased the 24 month/24k miles platinum GMEPP warranty from Dennis Fitcher. The estimated pro rated premium refund I would receive is approximately $1,475. This warranty does transfer so if you are interested in the warranty, I would sell the car, inclusive of the warranty, for $36,970 ($35,500 + $1,475, less 75 because I like round numbers). Car is located in Austin, TX. Buyer is responsible for shipping but will meet a shipping truck within a reasonable distance. Will pick up at the Austin airport if you fly in. Will make sure the car has a full tank of gas. Terms are as stated above. Serious offers/buyers only, don't waste my time with low ball offers and I won't waste yours. If you wish to see the car in person or have any questions, please feel free to ask and let me know. Hopefully, this thorough post answers many of them. Please contact me via email rbmeck at gmail dot com or PM or text 512 - nine 4 zero - 8 one six nine. For fastest response, email or text. Last edited by golfinz; 12-04-2017 at 04:58 PM. Beautiful car, sounds like it was really taken care of! No modifications at all in the entire life of the car? Well being a person that likes to keep my vehicles clean I will say that it’s not so much the rain on the top and sides of a car that matter but when you drive on wet roads you throw up a lot of pretty dirty water and crap all over the underside of the car. And all that dirty water makes it way into areas like the engine bay and other areas under the car that you likely won’t wash when you do wash the car. So it’s different just getting the outside wet with water and a hose when you wash it when compared to driving it in the rain. Correct, the car has never been modified except for the tint, exhaust and LED tails. Never tuned or had bolt ons. My prior three Z06 were modified ranging from cam only to a supercharged fully built 402 that made 1k-hp. I purposely bought a stock car (except the catback) and planned on keeping it stock. The post below yours explains why “never seen rain” is important so some. I didn’t want a car that was driven in inclimate weather due to excess wear and tear on the undercarriage. Last edited by golfinz; 11-16-2017 at 11:56 PM. Edited: forgot the car has TX legal window tint. Formula One Pinnacle Ceramic Film. 30% front and 15% rear. Last edited by golfinz; 11-16-2017 at 11:58 PM. Not to mention there's no way around the fact that every wet shoe that enters the vehicle inherently introduces the interior of the automobile to the filth that resides on the surface of every parking lot in the country. So happy to see cars listed with realistic values. Someone with a stock 09 Z is trying to sell it locally for $46K!!!!! Mods are coilovers and wheels. Mileage is 40,000. Updated the first post for another purchase option (to include the platinum GMEPP warranty). Jeeze this is the exact Z I've bee looking for miles, interior etc. Unfortunately, haven't sold my 03 cobra yet or this would be coming back to CT in a heartbeat. Great price and vehicle. GLWS! More pictures for my entertainment! Happy to meet up with you to see it in person. edit: Wow, talk about huge pictures! Will resize and post later. Last edited by golfinz; 11-20-2017 at 10:46 AM. I really want this car. If I can just sell my '72 coupe. Wife.gov already gave me the go ahead. Wow, this is a steal! GLWS, but I doubt you will need it! Is the car a LS3 or LS7? What option package 1,2,3? Looking forward to seeing more pics. I am one of those types that appreciate a car that has never been driven in the rain.